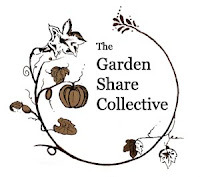 This post is part of the Garden Share Collective, a group of bloggers blogging about, well, their gardens! So if you are seeking gardening inspiration and information, please pay it a visit. 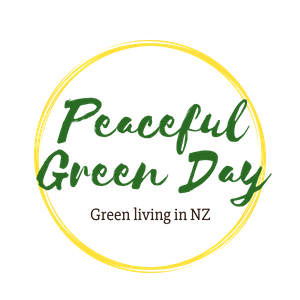 It's seed planting time, and we all want to grow beans, tomatoes, capsicum, lettuce etc etc. But which kind? There is a bewildering range to choose from when you look through a seed catalogue like Kings Seeds or Italian Seeds Pronto (ah, I long to try some of the latter - expensive at $8 or so a packet, but you get about three times as many as in a normal packet... I need someone to share the cost and contents with!). I have yet to determine the best tomatoes and capsicums for us, but I have had firm successes with certain beans, lettuce, cucumber, basil and sweet peas. The latter aren't vegetables but these days I find it absolutely necessary to grow them every year. Beans. I resisted my husband's pressure to grow scarlet runner beans for years, because I associated them with the tough giants my grandparents used to give us. Then we grew them, and picked them before they grew into those tough giants, and they were absolutely delicious. And talk about productive! We have them constantly for about four months over summer, picking almost daily. I've tried fancy French beans and all sorts, but not only is their production pathetic by comparison, but the children won't eat them raw because they don't taste as good. At the end of the season we just chop them off and leave them in the ground, and they come back the following year. That only works every second year, though, then you should rip them out and replace them with new ones. We poke them in the ground at the bottom of a bamboo bean frame in October. I'm hoping to make a frame from flax stalks soon. Lettuce. Kings Seeds have in their organic section some lovely lettuces called 'Salad bowl'. There are red and green ones. Both have gorgeous soft, tasty leaves that grow beautifully and last in the garden for ages. Basil. Lettuce leaf basil is our favourite: the leaves are large (but not as large as lettuce leaves!) so you don't have to waste time picking off lots of tiny little ones. Cucumber: Lebanese cucumbers do so well and taste so good! Last year I made an effort to provide frames and stakes for them to climb up. It left more space in the garden for other things, and kept the fruit clean. I'd love to get really into that concept and even build a cucumber frame that lies on an angle, thereby letting the cucumber vines shade the ground underneath to provide an ideal spot for plants that don't like severe heat, such as lettuce and coriander. Sweet peas: Last year I discovered Kings Seeds Old Spice mix. They went long and strong all summer, which was comprised of a stinking hot drought. The flowers didn't mind a bit, which is unusual for sweet peas, which tend to be queens of spring and autumn. Wonderful fragrance, gorgeous mix of colours. My seed sowing is partly done, with basil and beans on the backburner until October, because they really need more warmth. It's delightful to see little seedlings pop up - so far I've spied spinach, teddy bear sunflowers, cherry tomatoes and peas. I water, I slug-slam, I wait. There's a lot going on in our garden thanks to persistent winter gardening, which I've loved. Here's a photo taken as I sheltered in the shed during a rain shower this afternoon. I could see our garden bursting with parsnips, carrots, lettuce, spring onions, cauli and broccoli, and parsley. There's an oats and lupins mix that is sheltering and feeding the soil of one garden, and that the cat and chickens love to eat. There are of course my five beloved chickens giving us eggs (four today), and fruit trees of mandarins, oranges and lemons. Parsnip leaves glisten in the gentle rain. more staying in the garden to go to seed for next year). And around the corner are artichokes about to bloom their delicious flower buds, growing up in front of the feijoas, and blueberry bushes newly mulched with pine needles (to acidify their soil) springing to life. The compost bins (seven in total!) give great compost, the clothesline dries our clothes, and the shed keeps our firewood dry ( I write this, as usual, in front of a wonderful blazing fire). This backyard, small as it is, multitasks big time! The duvet cover holds barley straw for the chooks. My late afternoon harvest - fruit for breakfast and lunch tomorrow, lettuce for sandwiches tomorrow, a carrot for a pre-dinner snack for a hungry boy, and a small head of broccoli for dinner - is here, honest and grubby in the sink. There's a bit to do in the next month. When the compost ripens it will be shoveled over the garden. The last of the seeds to be raised in seed pots - tomatoes mainly - need to find their way into rich, black seed raising mix. There's a (third!) orange tree to be planted, a bit late perhaps, since tree planting should really be finished in July. There's always a bit of weeding to be done, of course. I'm enjoying watching the results of my let-go-to-seed policy, as always - little lettuces and wildflowers popping up. Some will need to be moved about, but most will get to grow where they land. two typesof wildflower whose names escape me right now. Finally, blossom. It's everywhere. This is a dwarf peach at the back of a vege garden. Last year we got two peaches and they tasted terrible, so this is its last chance. The plums, however, are about to burst and they have already earned their place. Do you have any favourite vegetable seeds that work well in your garden? I hope they work for your Laura - up north there is definitely more heat for them to deal with. It's amazing how hot Hamilton can get in summer though - oh for a sea breeze! Everything is looking great! Those sweet peas sound interesting. Time to hop to it, Madeleine. I'm sure that little baby doesn't leave you with much time on your hands though. In your situation I think I'd be buying seedlings! Your winter garden looks bountiful and is very inspiring. Thanks for the tip on scarlet runner beans, too. I have just embraced the let the plants go to see and see what comes up policy. Call me crazy I do like things in neat rows, however getting a bed of self seeded lettuce is so rewarding and it didn't cost me a thing. I have just let my broccoli do the same, so I hope to collect the seeds from it soon. Great looking garden, its very lush. Can't wait to check back next month. Hi Lizzie, it's definitely easier if, like me, you're not a row gardener. I've put our strawberry beds into rows and it really stretched me. Fortunately my husband's the same, otherwise I'm sure there would be conflict.